West Lafayette, Indiana - As the holiday season reaches its peak, so do the potential hazards for pets. 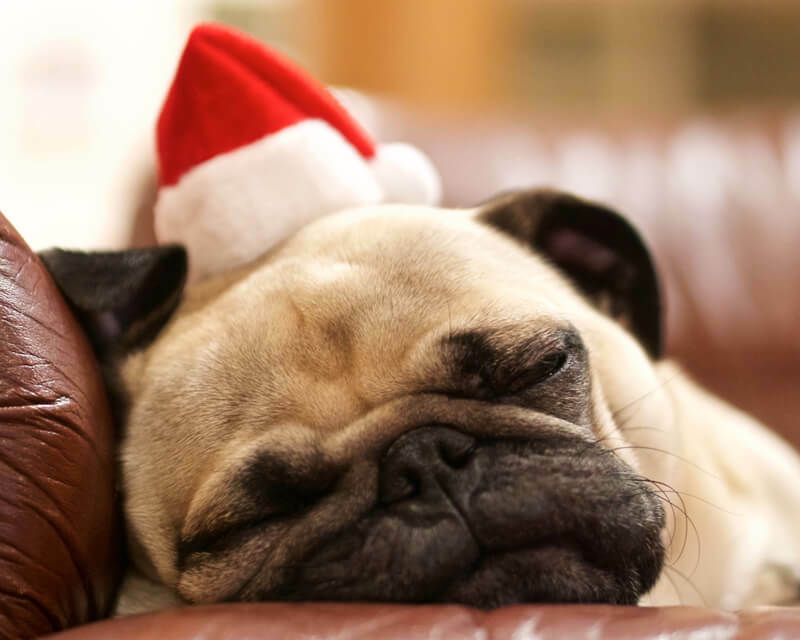 Dr. Suma Rao, Purdue Veterinary Medicine clinical assistant professor of small animal community practice in the Department of Veterinary Clinical Sciences, provides the following tips on how to keep pets safe during the holidays. Several types of holiday plants can be poisonous to animals. “Poinsettia plants, mistletoe, holly, and Christmas cactus are toxic to animals when ingested,” Rao says. For pet owners who choose to decorate with a live Christmas tree, Rao says that Christmas tree water is toxic when fertilizer is used. Tinsel and ribbon are tempting play objects for cats, but Rao warns they can cause a blockage if ingested. Lighted candles around the house can be knocked over by pets and pose a fire hazard. Dogs and cats are often tempted to chew on electrical cords, which can cause burns, seizures, and even death. Rao reminds pet owners, “Chocolate, especially dark chocolate, is toxic to animals.” She also points out that Macadamia nuts can cause renal disease in dogs, and sugar-free products containing xylitol are toxic to animals. Another area of caution is fatty foods or bones. They can cause gastroenteritis, pancreatitis, and/or blockages, Rao says. Rao says salt on roads and sidewalks can be caustic to pet’s paw pads. Be sure to wipe their feet after a walk. With the help of these tips, Rao says, both people and pets can enjoy a safe and enjoyable holiday season. If a pet does get sick or injured during the holidays, the Purdue University Veterinary Teaching Hospital‘s animal emergency service is available 24 hours a day, 365 days a year. For emergencies, call 765-494-1107.